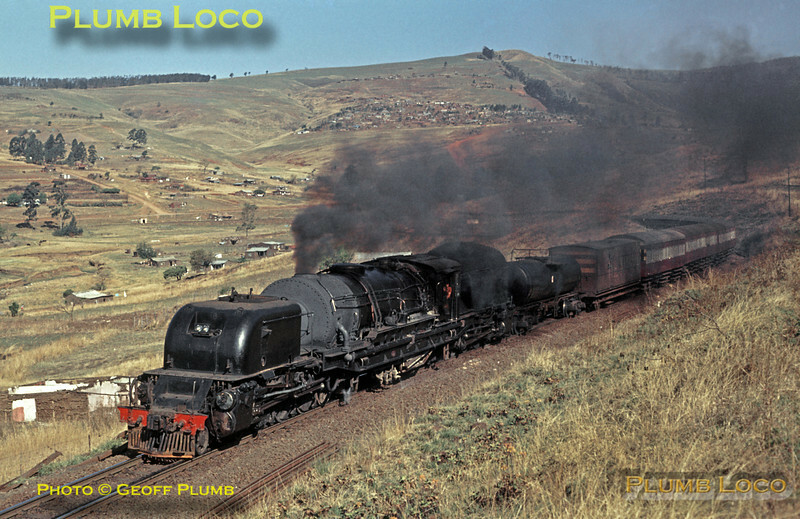 South African Railways GMAM Class 4-8-2+2-8-4 Beyer Garratt No. 4099 works the 14:00 Saturdays Only passenger train from Pietermaritzburg to Donnybrook, seen here on the stretch of the climb through Edendale and Taylors up to Elandskop. As well as stopping at wayside stations, the train stopped virtually anywhere by request! Saturday 26th August 1972. Slide No. 9178.